​From Wikipedia, the free encyclopedia. 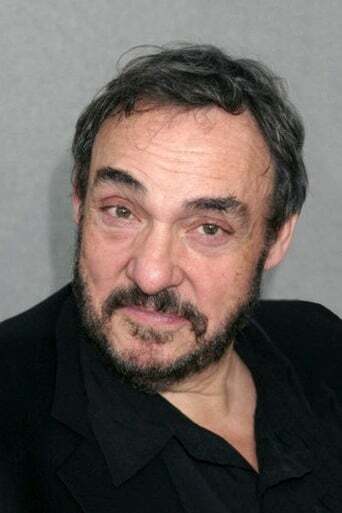 John Rhys-Davies (born 5 May 1944) is a Welsh actor and vocal artist. He is perhaps best known for playing the charismatic Arab excavator Sallah in the Indiana Jones films and the dwarf Gimli in The Lord of the Rings trilogy, in which he also voiced the ent, Treebeard. He also played Agent Michael Malone in the 1993 remake of the 1950s television series The Untouchables, Professor Maximillian Arturo in Sliders, King Richard I in Robin of Sherwood, General Leonid Pushkin in the James Bond film The Living Daylights, and Macro in I, Claudius. Additionally, he provided the voices of Cassim in Disney's Aladdin and the King of Thieves, Man Ray in SpongeBob SquarePants, and Tobias in the computer game Freelancer. He is also the narrator for the TV show Wildboyz. Description above from the Wikipedia article John Rhys-Davies, licensed under CC-BY-SA, full list of contributors on Wikipedia.